*Green laser does not change colors. Use remote control to select LED color or function. The COLOR Green will transform your indoor or outdoor space with a unique lighting experience by combining a high quality 16-color LED with the magic of thousands of pin points of light. 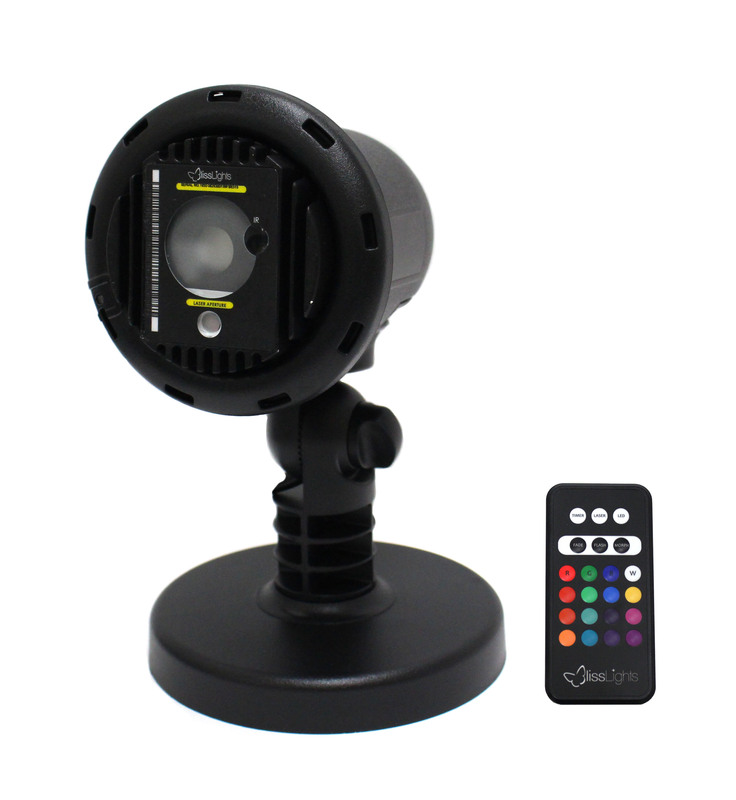 This “3-in-1” lighting fixture with remote control allows you to turn on/off features on your COLOR to use it alone as a “firefly effect”, a multi-color accent light, OR combine the two effects to create a NEW look! Additionally, you’ll be able to choose from one fixed color to any of the included LED added features. The included remote also lets users control the option of using one fixed color OR fade, flash, or morph into any of the color options to take the magic of fireflies to a new level with a complementary color combination! You’ll love all the fun ways to use your laser projector with LED! Let your imagination inspire you and create a world of color. Like previous models, this easy-to-set-up projector casts thousands of points of light over a wide area to instantly create an alluring environment. The COLOR’s Green Firefly Effect – This laser color looks great on plants, gardens, and any outdoor space. It appears the most crisp to the eye, and is a great color for 1st time BlissLights customers. You can use it indoors and outdoors to transform any event, Holiday, or moment with the magic of fireflies.